Enjoy happy hour at The Cabin! Monday – Friday from 3 p.m.-7 p.m. treat yourself to Cabin Happy Hour with half off appetizers, $2 domestic beers and $3 house liquor and wine. Sip on an ice cold beer and munch on some delicious pulled pork sliders to help you unwind at Cabin Happy Hour. Satisfy your foodie cravings on taco Tuesday with The Cabin! Enjoy $1, $2 and $3 tacos all day every Tuesday. Indulge in traditional Carne Asada Tacos or try their unique Cous Cous Bruschetta Tacos. Wash everything down with $2 margaritas and $3 Coronas. Don’t forget to check out their painting party every Tuesday from 6-8 p.m. Enjoy a mid-week outing every Wednesday for karaoke night at Park West’s best whiskey bar! From 9:30 p.m. – midnight, sing your heart out to your favorite tunes and sip on $4 liter domestics. Need plans for a girl’s night out? Spend your Thursday nights with your best girlfriends at Ladies Night at The Cabin! From 9 p.m. – 2 a.m. enjoy $1 Bud Lights, $2 domestic drafts, $3 wells and $3 Fireball shots! End your Sunday Fun-day with some late night fun with game night! From 10 p.m. – midnight play Cabin pong and giant Jenga while sipping on $3 Three Olives, $3 craft beers and $3 cocktails. 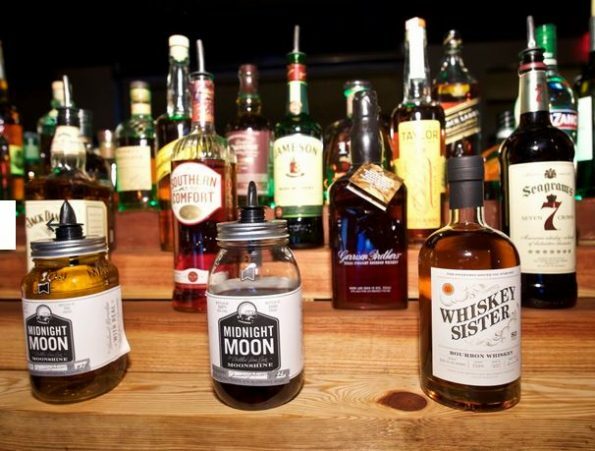 The Cabin Whiskey Bar and Grill has a unique and inviting atmosphere that will have you coming back for delicious food, tasty drinks and good fun! The Cabin is a located at Park West. Park West is an outdoor lifestyle shopping center that features more than 30 national and local retailers, restaurants and a 14-screen Harkins Theatre nestled in a boutique shopping environment. Cozy seating areas, fountains and outdoor fireplaces offer a relaxing shopping experience that is unique in the West Valley. Park West is conveniently located just off the Loop 101 at Northern Ave., minutes from the University of Phoenix Stadium, home to the Arizona Cardinals and Gila River Arena, home to the Phoenix Coyotes. Additional information can be found at www.shopparkwest.com, www.cabinwest.com or stop in at 9868 W. Northern Ave. in Peoria. ← Previous Previous post: Celebrate Derby Day in the Valley with a Mint Julep!